...is for EVERYONE! 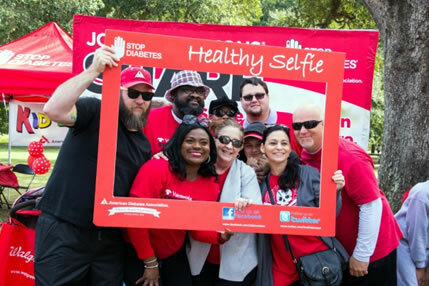 Any rider who isn't already on another team and is looking to join millions of others that want to Stop Diabetes can join Team Red. Red Riders (participants with type 1 or type 2 diabetes), their family, friends are also invited to join the team! ...that you will instantly be a part of a community made up of people from all different areas and walks of life. 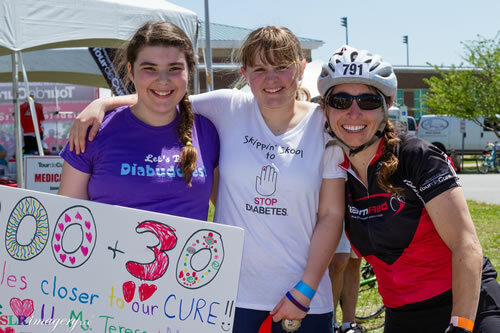 Team Red is a great way to connect with other riders including families supporting a Red Rider or that are honoring a loved one with diabetes. Can others without diabetes join Team Red? YES! This is a team for anyone who doesn't already have a team. That means You! Team Red is made up from riders that want to support the cause and those that support our riders (family, friends and co-workers). Start a Team: Click CREATE A NEW TEAM above. Find your Tour, go to the event site and click "FORM A TEAM". Be sure to select Team Red from the National Team pull-down menu. Support our Mission! Read our Fundraising Guide for great ideas and best practices.